This weeks Compensation Clinic case is about my recent British Airways EC261/2004 claim for EU Compensation over a scheduled misconnect due to delayed incoming flight. I already covered the case two weeks ago in a Fabulous Friday (access here) lauding BA for their smooth rebooking support at Bangkok Airport as the incoming flight was late and already scheduled to be at least 50 min late, pretty much destroying any hope to make my 1:05h connection LHR-TXL which would have stranded me in Heathrow overnight, causing inconvenience and staying at one of LHR’s horrible airport hotels. 1) I’d have to line up at LHR and get a hotel voucher, go through immigration and then take the horrible HotelHoppa bus to whatever hotel BA would book for me. Even in Business Class and as BA Gold the hotel would likely be bad. The Sofitel at LHR T5 is excellent but no way BA would book that for a regular customer. Maybe a Premier status holder or paid First Class customer. 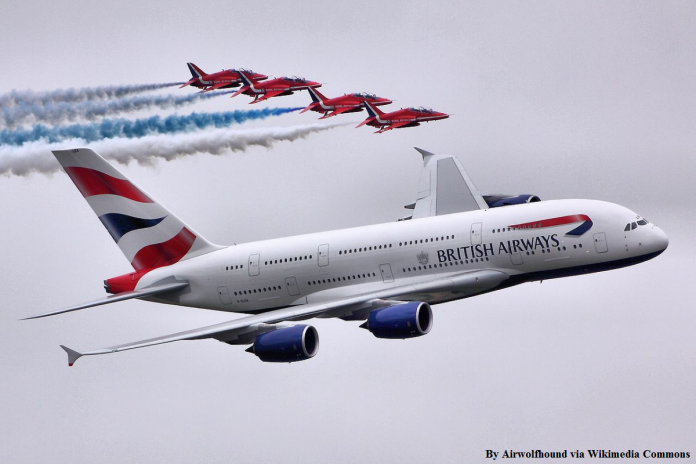 2) If I would ask BA to rebook me to another carrier I could double dip on mileage if on another alliance. In any case I’d be eligible for the 600 Euro EC261/2004 compensation as my arrival wouldn’t be until the next morning. I asked the station staff for proper printouts of the new connection, the new e-ticket number and to make sure that it bears the “INVOL” notation which is important if you want to claim any compensation or original routing credit. In fact I entered the claim for both the 600 EURO EC261 compensation and the Original Routing Credit with scans of the documents on the same day as I now had 12 hours downtime on my hand. 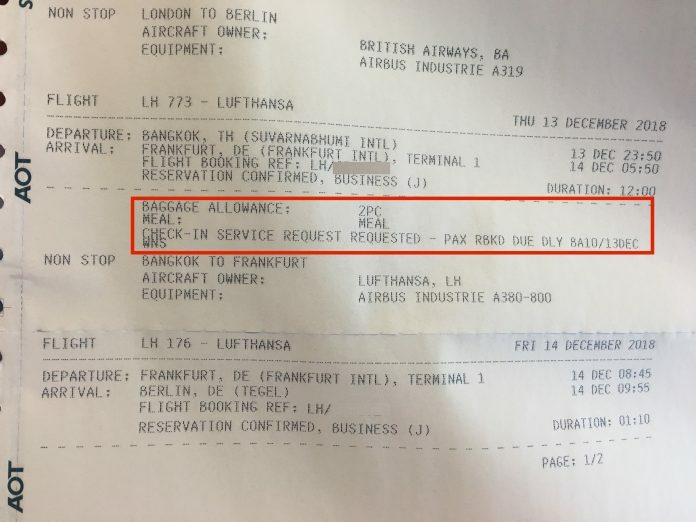 I could have asked BA to provide me with a hotel and transfers for the day but that would have been a stupid and unnecessary thing to do as I have an apartment in Bangkok that I can use. I did use Grab to get back into town and ended up claiming a dinner with BA Customer Relations, all in all 47 EUR cost. The delay was known obviously since the incoming BA flight left LHR and yet there was no email, call or SMS about this. Airlines ask for your contact information every left and right – for what if they never use it? I voiced my concern over this and the CR representative added 5000 Avios on top of the payment. British Airways also added the original routing credits to my BAEC Avios account which was vital as without those 2 BA segments I wouldn’t have been able to requalify for BA Gold this year, never mind the miles. [Well I theoretically could have booked my Frankfurt-Madrid flight on IB/BA but didn’t really desire of making that a complicated routing]. 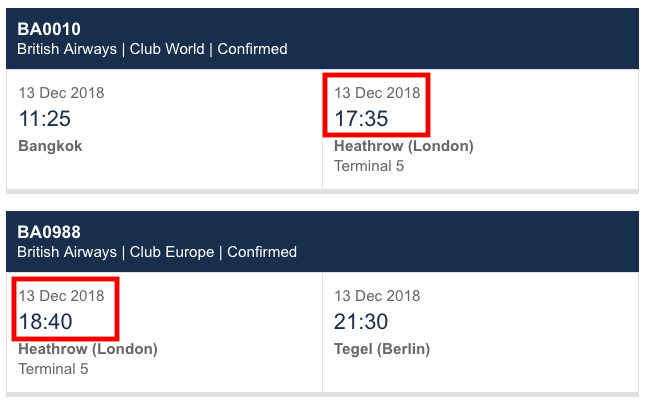 I was rebooked into full J Class on Lufthansa which together with the connection flight earned me almost 20,000 qualifying miles and 15,000 award miles on United Mileage Plus. Double dipping of miles during irregular operations is a little trick one should always keep in mind when encountering something like this. I’m very happy how BA handled this and of course that it ended up being extremely profitable in the end. Time wasn’t really of the essence here as it was a personal trip for the Christmas holidays and BA had a special present to sweeten it even more. Plus let’s be frank: Flying BA Business Class (especially on the super old 777 they use on the BKK route is awful and I only booked it to fulfill the annual 4 segment requirement). The Lufthansa flight was much better in terms of service, catering and seat though I’m not a big fan of their midnight departure time which only suits folks who can sleep really well on board. Otherwise it’ll be a LONG day ahead as the flight arrived at 5:30am.